While this is bad news for the Dining Duder, the donut trail is back. And this was as unexpected for me as you. I was minding my own business with no intention of consuming a donut when I noticed that McHappy’s offered donuts. I was visiting a new Athens favorite, Purple Chopstix (suggested by Dr. Balbo, Medicine Woman) when I noticed that McHappy’s was open via a sign advertising donuts. While I have driven this stretch of Richland Ave. many times, I never noticed McHappy’s nor did I have an inclination to look – I was always on my way to somewhere else. I’m glad I dropped in. Dropping in was a pure whim. In fact my passenger tried to dissuade me from doing so because we had just filled up on a buffet. 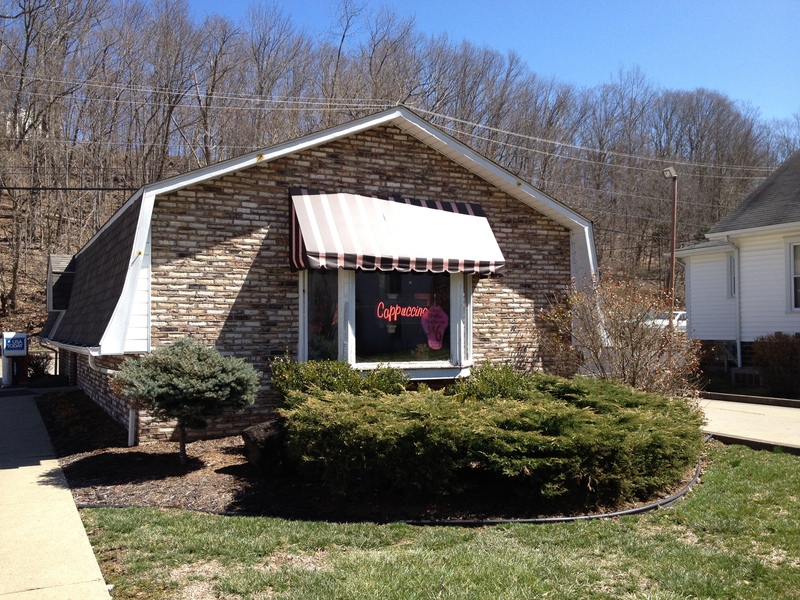 The place does not look like much from the outside and we had a challenge finding the door since is largely a drive through business. 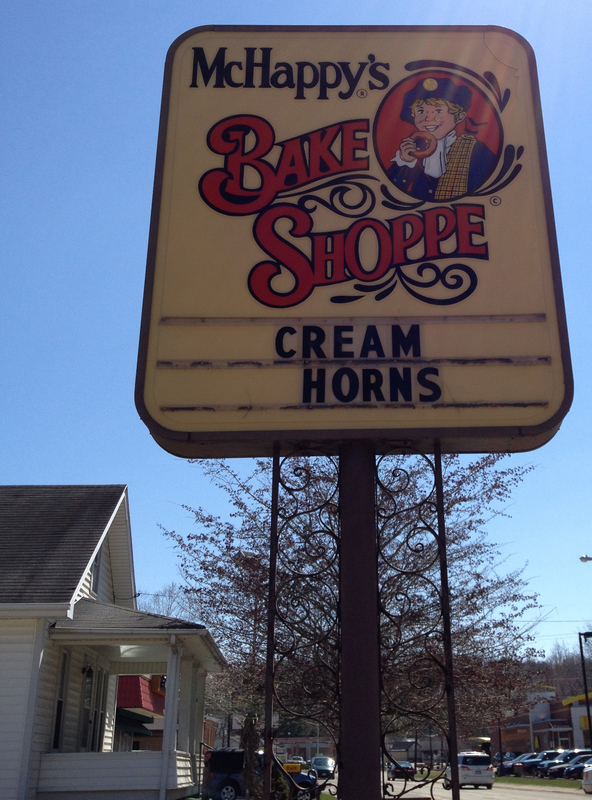 However, I was focused on finding out what this bakery was all about and I needed to stockpile provisions for our next several days at Lake Hope State Park. The moment I waked through the door, I was glad I did so. 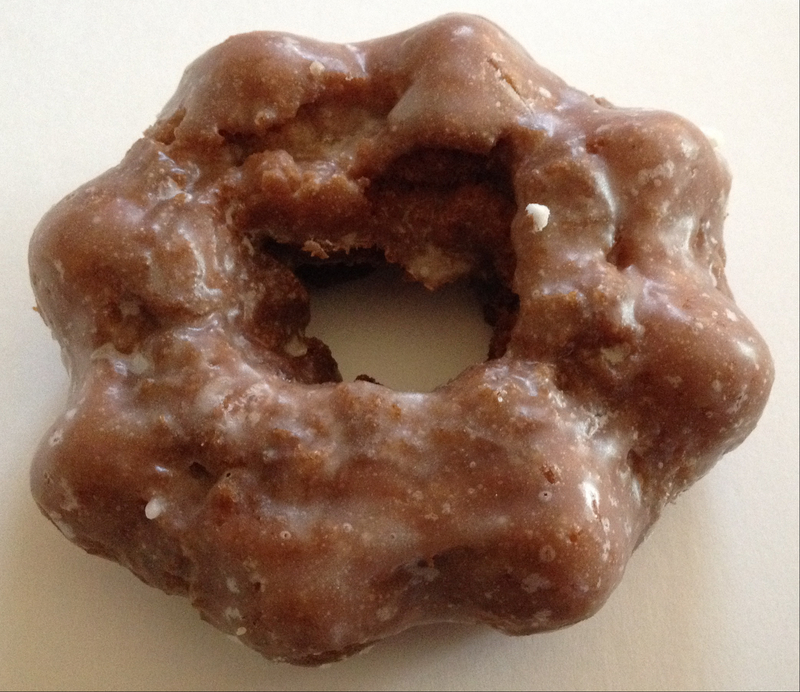 The first doughnut my eye spied was an Ohio classic – maple glazed cake donut. It was at this point I decided a full dozen was in order. In addition to two maples, I added several other varieties including a new one for me – Applesauce. I also picked up a cinnamon roll, a apple fritter and a peanut butter egg. This mass of sugar was a good value. If you are even more value oriented, McHappy’s sells bags of day old doughnuts for $1.99. To cut to the chase, in comparison of all of the other Ohio Donut Trail entries, McHappy’s rates a solid B. 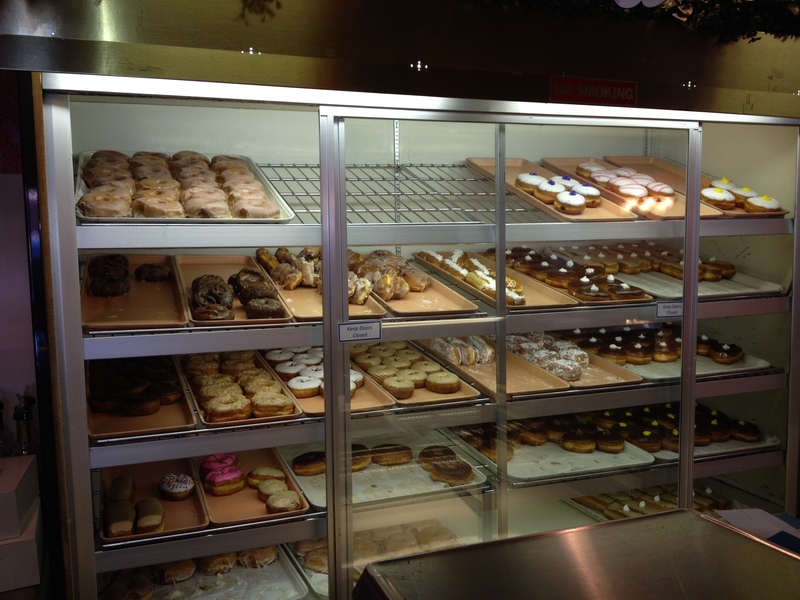 None of the regular donuts stood out or where craveable. I expected a lot, perhaps too much from the Applesauce donut since that style was new to me. It was good but what I think I liked the most was it’s star like shape. The winner of everything we tried was the apple fritter. It may place in the top five in the fritter category to date. I should note a few disclaimers about McHappy’s. We purchased the donuts around 1 pm and we did not try any until about 5 pm so they were not at their peak freshness. McHappy’s is a five location chain operating in Athens, Belpre, Marietta and Parkersburg. And for some reason, which no longer makes sense we nicknamed the lady that served us Biscuits McGillacutty. This entry was posted on April 2, 2014 at 8:21 AM	and is filed under desserts, donuts, Ohio, Ohio Donut Trail, Road Trip. You can follow any responses to this entry through the RSS 2.0 feed. You can leave a response, or trackback from your own site.